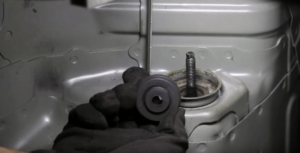 The internal rebound spring helps keep the strut rod and piston near factory static ride height during normal operation and enables the vehicle manufacturer to use lighter-weight and/or smaller-diameter anti-sway bars. 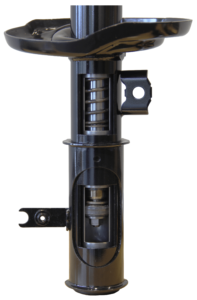 It is important to follow the proper installation procedures for each type of shock absorber stem mount. Over/under torquing the stem cushions can result in ride and durability complaints. What Does No or Slow Rod Extension Mean for My Replacement Shock / Strut? Piston rods on “low gas” units can take up to 2 minutes to extend, while “non-gas” units will not extend on their own. Rod reaction can vary between two units of the same design. Once these units are broken in, however, they will provide the same performance. 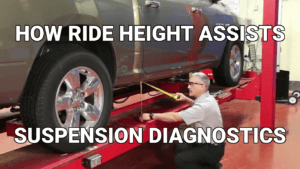 Installing struts without following proper installation procedures can lead to serious injury and damage to the vehicle. 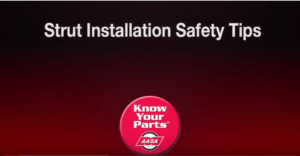 Here are some tips to keep in mind in addition to following the procedure specified by the vehicle and parts manufacturer.